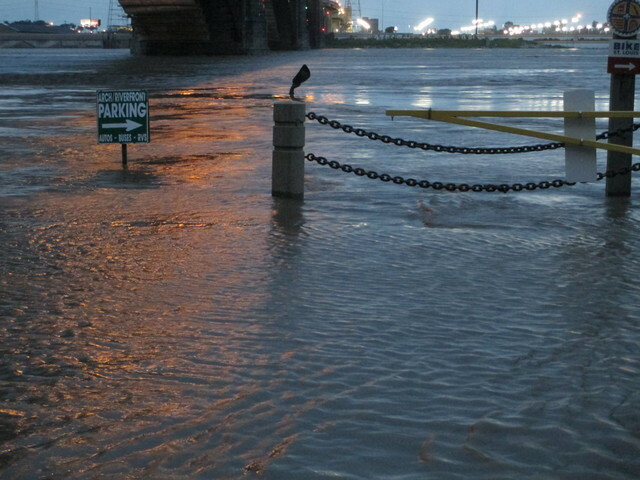 Last night we got to the Laclede’s Landing area of St. Louis before the storm passed through. 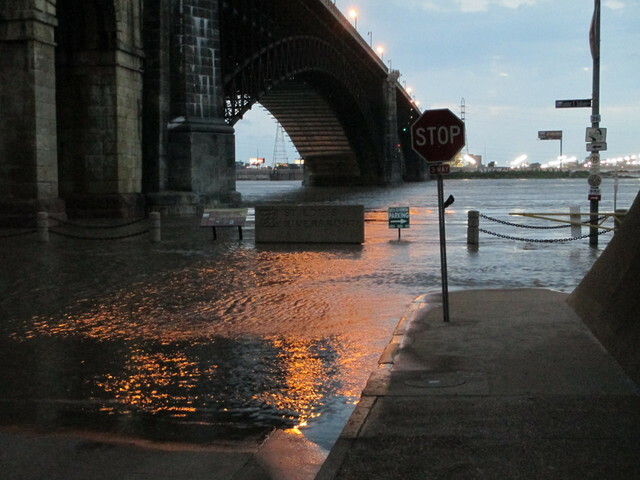 The river was already high, up over the banks and Leonard K. Sullivan Boulevard. It’ll only get higher when the waters from last night’s storm arrive. 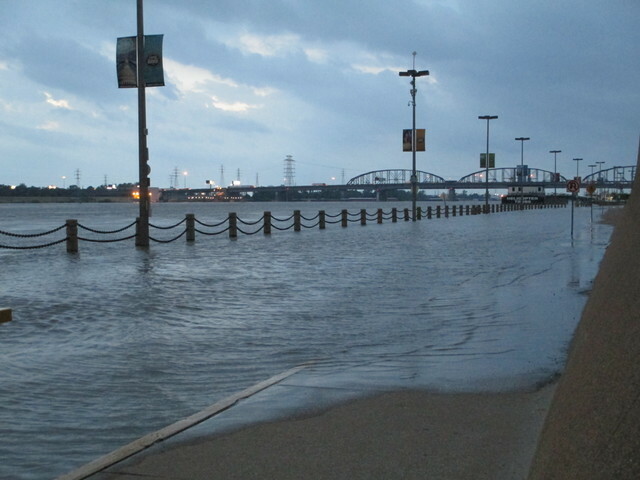 This should give some idea how far above normal the water level was.